We don’t all think painting a brick house is a good thing, but sometimes it’s the only option. This house was built in the 1930″s and has weathered many years of repairs to the exterior. 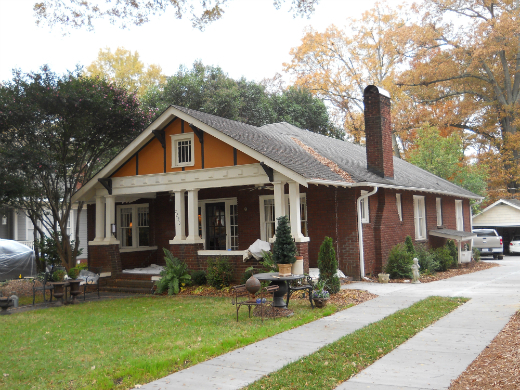 Some repairs were what I call putting a “Band-Aid” on the problems which did lead to more damage and decreased the pristine look of the original brick exterior. Painting the brick was an excellent way to update the house without changing any of its original architectural features. 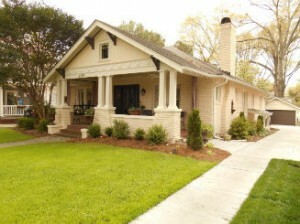 Check out the pictures… either way it’s a 1930′s bungalow! Drapes Hanging On Your Front Porch!?! ?